Lance stepped out of the taxi that had brought him to Camp Half-Blood. The Gray Sisters,he'd been sent by his old satyr friend,who was unable to return with him. 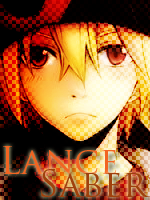 He had his black and gray traveling bag slung over his shoulder,and wore his cap over his blonde hair. He stepped up the hill,and stared at the dragon near the pine tree as he passed. Don't see that every day. He was at the top of the hill,looking over Camp Half-Blood. It was a pretty big setup,and looked kinda fun. Wait...does that rock wall have lava going down the side...? He sighed,and began walking down toward the camp. His new life began today.